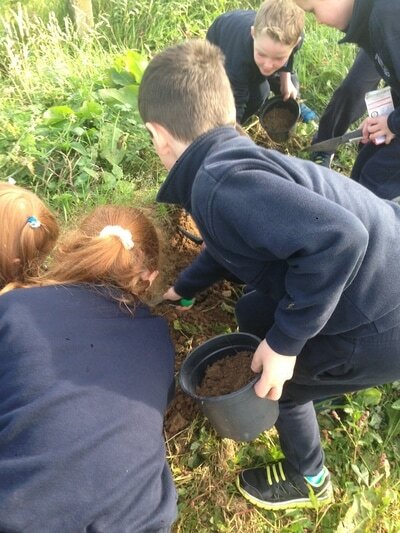 Exploring Our World Tobar an Léinn is a small 6 teacher primary school located in the village of Raheen, Co. Laois, Ireland. 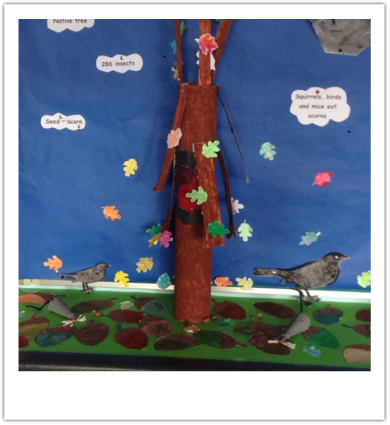 During October we learned all about the oak tree. It is a native Irish tree that has grown in Ireland for 10,000 years. It is also know as the King of the Woods. It's Irish name is dáir. 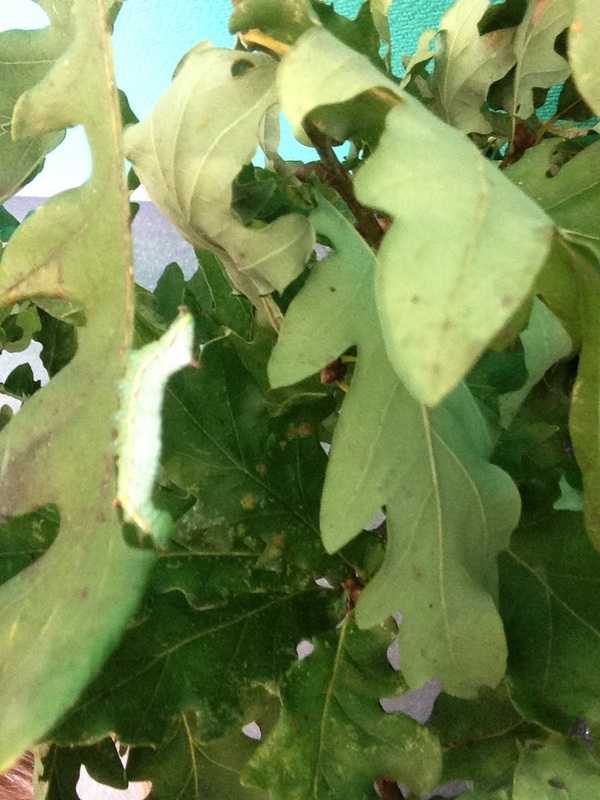 286 different types of insects live in oak trees. Mice, squirrels and some birds eat its seed, the acorn. We made an oak tree during art. 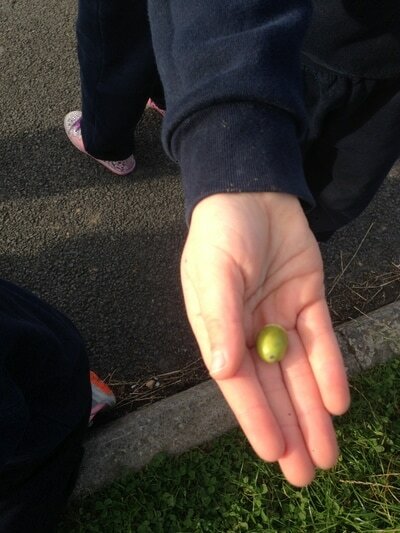 We collected oak leaves and acorns and brought them into school. We planted the acorns. 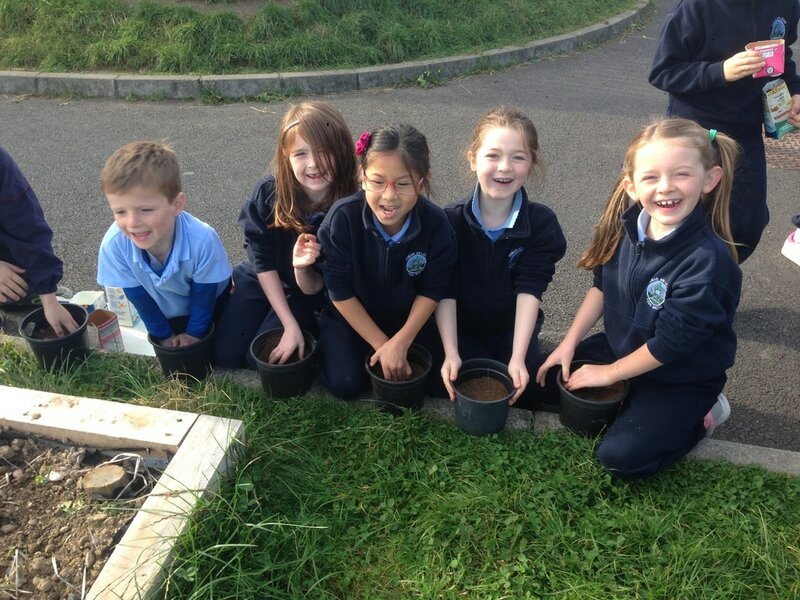 We hope in years to come we will have beautiful oak trees growing in our school. ​We found a caterpillar on one of the oak leaves. 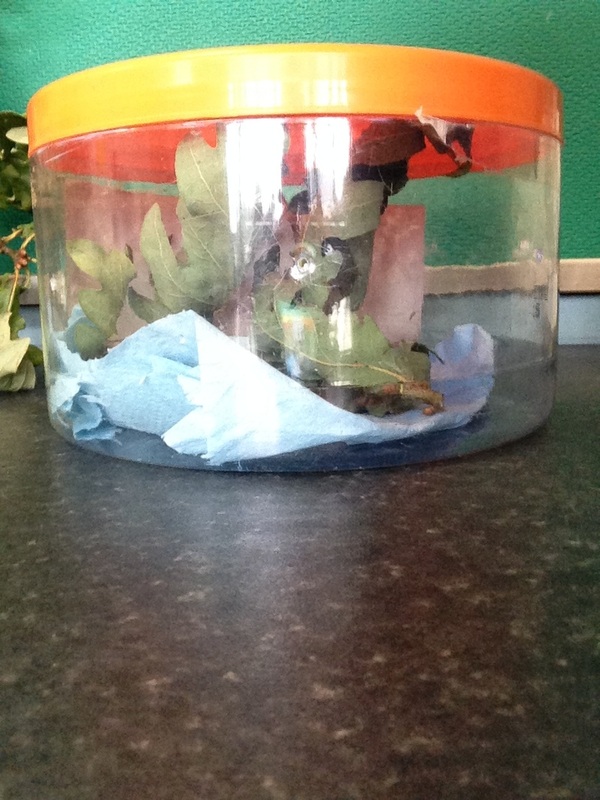 We made a nice home for him and named him Sticky Steve. 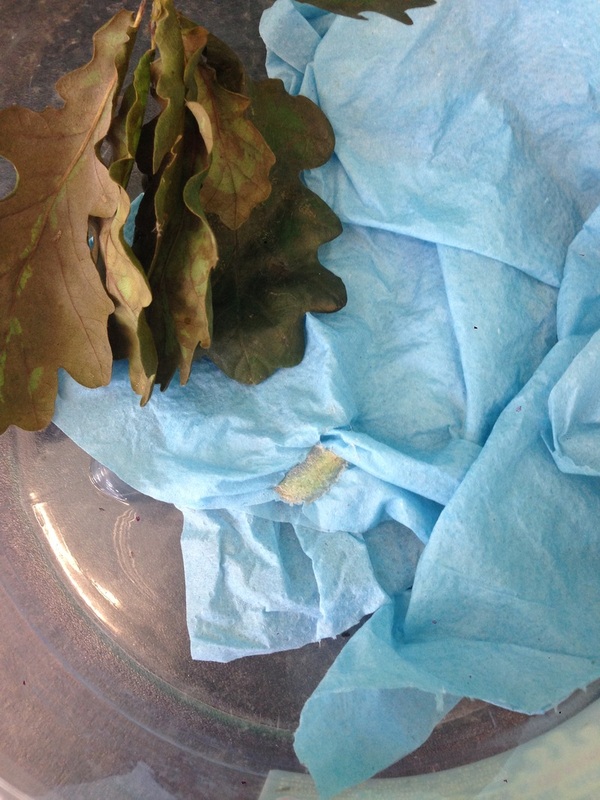 He soon made a cocoon inside his home. We hope he turns into a butterfly soon. 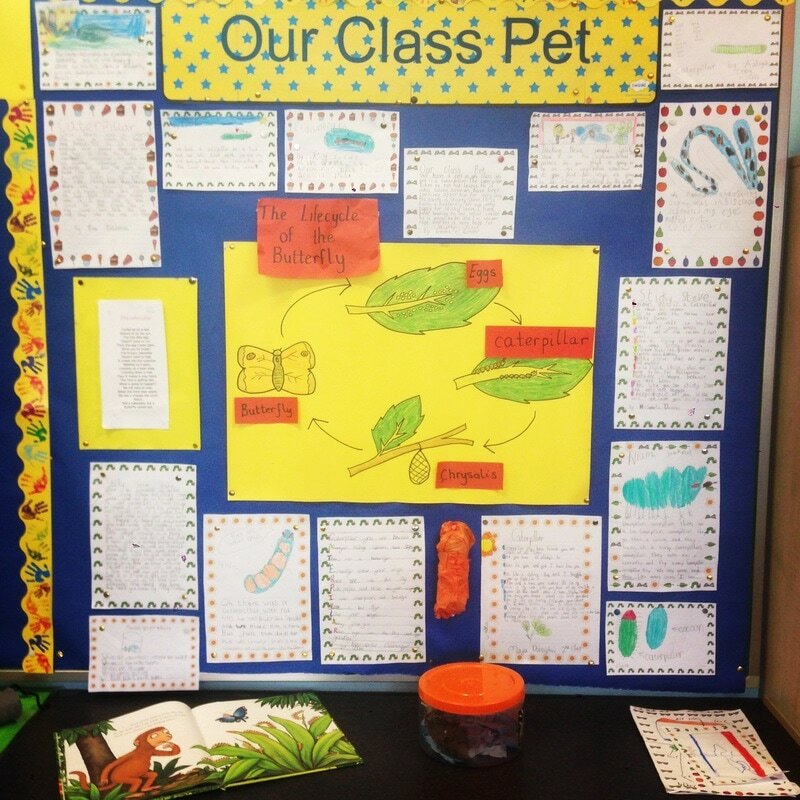 Here is some writing we did about our caterpillar, Sticky Steve.